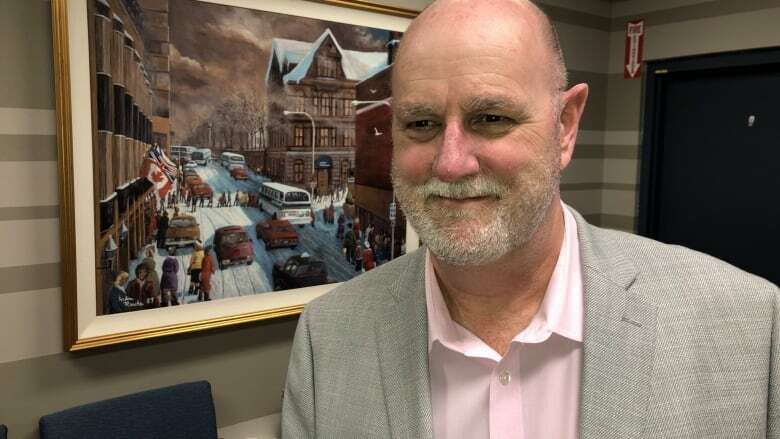 One of the biggest complaints about Halifax Transit's Access-A-Bus service — the requirement to book a trip seven days in advance — will become a thing of the past in the "early part of 2019," says the municipality's head of transit operations. One of the biggest complaints about Halifax Transit's Access-A-Bus service — the requirement to book a trip seven days in advance — will become a thing of the past in the "early part of 2019," according to the municipality's head of transit operations. Mike Spicer said Tuesday the new same-day booking system — scheduling and taking a ride on the same day — is almost ready. He plans to formally discuss the service improvement at the city's transportation standing committee meeting on Jan. 24. "Once we get the go-ahead to move forward with it, I think we'll be rolling it out sooner than later," he said. Spicer, who's been on the job since being hired from Guelph Transit in February, said he got to work almost immediately on improving Access-A-Bus for the 2,000 regular users of the paratransit service. Access-A-Bus is a door-to-door shared service used by riders who have challenges using the conventional transit system. He said the introduction of same-day booking will be possible using existing resources. Spicer attributed much of the service improvement to upgraded scheduling software. Since April, the wait-list for a same-day trip has dropped from 150 to 50 people a day, he said. That number is continuing to decline and is bringing the paratransit service "closer to be able to be able to offer same-day trips." The current advance booking system is so inefficient that passengers have been "protectively" scheduling a week's worth of rides — and then cancelling or were no-shows on some trips, adding to the system's woes, said Spicer. "We've let our customers down, those are things that we take to heart." He cautioned that the new same-day booking system may require some negotiation, whether it's for a one-way or return trip. For example, if someone needed to get to a 9 a.m. appointment, Access-A-Bus may drop the passenger off at 8:30 or 8:45, he said. On any given day, there are only 35 Access-A-Bus vehicles on the road. So people shouldn't expect "to call in every day and get your trip 100 per cent of the time," he said. But, he added that conventional routes are all accessible with low-floor vehicles. Complaints about Access-A-Bus service have been particularly loud because passengers can't rely on accessible taxis either. There are only 15 accessible taxis operating in the Halifax-area, three fewer than in November. In 2015, there were 47. An accessible cab driver told CBC News the specialized work is not profitable, so cabbies are quitting. Advocates for people with disabilities have been asking the city to consider using taxis to supplement Access-A-Bus. But Spicer is putting cold water on that idea for now. He said he will monitor same-day Access-A-Bus service, and if it can't keep up with demand, he'll review options — including arrangements with accessible cabs or shared ride services. Elizabeth Chiu is a reporter in Nova Scotia and hosts Atlantic Tonight on Saturdays at 7, 7:30 in Newfoundland. If you have a story idea for her, contact her at elizabeth.chiu@cbc.ca.